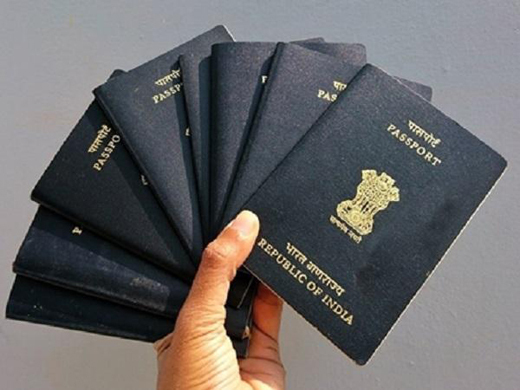 Delhi, Nov 23, 2018 : To make passport services convenient to the citizens, the Indian government is planning to open a ’Passport Seva Kendra’ in each of the 543 parliamentary constituencies, said the Minister of State for External Affairs V K Singh at the launch of ’Passport Seva’ programme at India’s Consulate in New York. The new system that was launched in the US will ensure an easy and convenient application submission process, usher-in standardization, digital overhauling, end-to-end status tracking and enhance security, the minister said. He further said that the government plans to have a ’Passport Seva Kendra’ in each of the 543 parliamentary constituencies across the country by March 2019. "We plan to have a Passport Kendra in each head post office (in India) so that any citizen doesn’t have to travel beyond 50-60 km for his or her passport services," Singh said. The MEA with the Department of Posts took the decision to start ’Passport Seva Kendras’ in head post offices. 236 of these have been operationalized to date and many more are in progress. The 36 passport offices and 93 erstwhile ’Passport Seva Kendras’, makes a total of 365 passport offices for the public. The ministry also initiated the integration of ’Passport Seva Programme’ at all Indian Embassies and Consulates across the globe starting its pilot project at the High Commission of India in London followed by the Consulate General of India in Birmingham and Edinburgh.